How Much can I Cram into this Post? You may want to buckle your seatbelt for this one. I’ve finally come out of hibernation! I’m finally out of the first trimester, which is a huge relief for me physically and emotionally. Physically, the exhaustion and nausea have been full force. For the past 6 weeks I have hibernated in my bed anytime possible. Only leaving when necessary to report to work and to get food. And of course while in my bed, I have eaten and watched episodes of Storage Wars, The Little Couple and Sister Wives. Storage Wars has become my new favorite show ( I really don’t know why), Jen Arnold from The Little Couple is one of my best friends (in my mind she is), and Kody Brown from Sister Wives continues to creep me out so much so that I continue to stay tuned. Emotionally, I have a sense of relief because I am passed 12 weeks and the risk of miscarriage lessens. Also, we got to hear the heartbeat and it was a strong 160 bpm!!! Total weight gain: 8 lbs at 12 weeks. I’m 14 weeks now and the batteries in my digital scale conveniently died and I see no hurry to replace them anytime soon. What I’m wearing: Wearing both my regular clothes and maternity clothes. I feel much more comfortable in maternity, but I’m still hanging on to the little bit of hope of I have left of squeezing into my regular clothes. Right before I found out I was pregnant, I bought some new jeans and I am determined to get my money’s worth out of them! What I’m eating: Everything! Even though I’ve been sick, eating always helped with the nausea. That is how it was with Evan too. Could it be another boy? In the midst of all my lounging around, I meant to share this Target find with everyone. I apologize now that this find was 4 weeks ago and now they are mostly gone. Point is, I’m fairly positive Target will have more coming soon. I spotted these buckets near the dollar zone area for $2.50 each. I’m all about these containers. They are so universal and I just love them even more when monogrammed. I bought a couple of them because I thought they would make great gifts. This one is in my kitchen and it comes in handy for storing all our snacks and candy. Well, practically all the necessary junk food. This one I placed in my office and I use it for storing some of my craft items. The first bucket I picked up over the summer, and they too quickly sold out. The second one I picked up a month ago and also quickly sold out. For $2.50, you can’t beat it! Like I mentioned earlier, I’m pretty positive Target will have more with the holidays coming. The Summerville Target keeps them near the dollar zone so be sure to keep your eyes open. And you better stock up if you find some! Great Christmas gifts! The month of September was filled with family members’ birthdays! 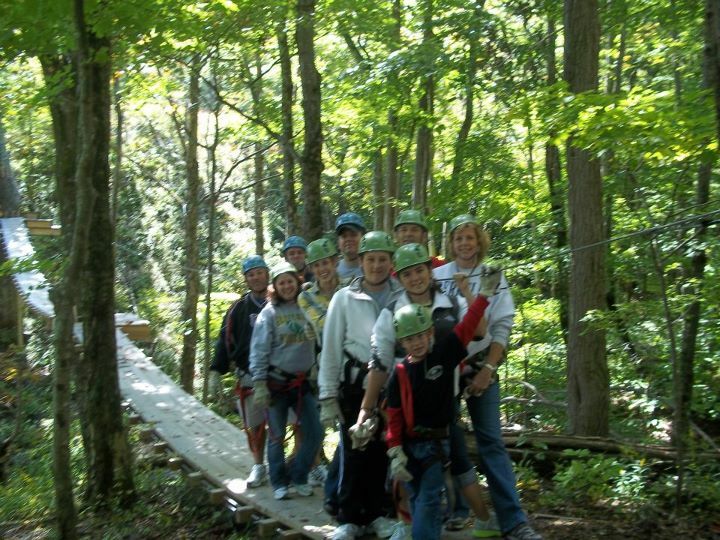 In celebration of my father’s 55th birthday, my siblings and I took him to Boone, North Carolina for ziplining! 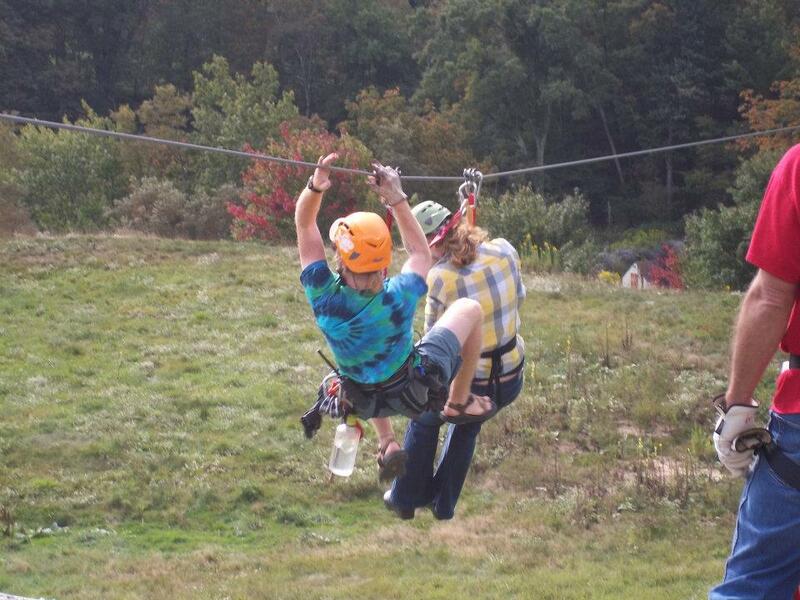 And here I am being rescued. I always like to play the role of the damsel in distress. That’s my reasoning and I’m sticking to it. The next reason for celebration was for Lovebug’s 30th birthday! I still can’t believe it. I met Lovebug when I was thirteen and he was a young buck at the age of fifteen. It’s hard to believe I’ve known him almost half his life. And the funny thing, he still doesn’t understand how I know what he’s thinking before he does. The month of October flew by for us. 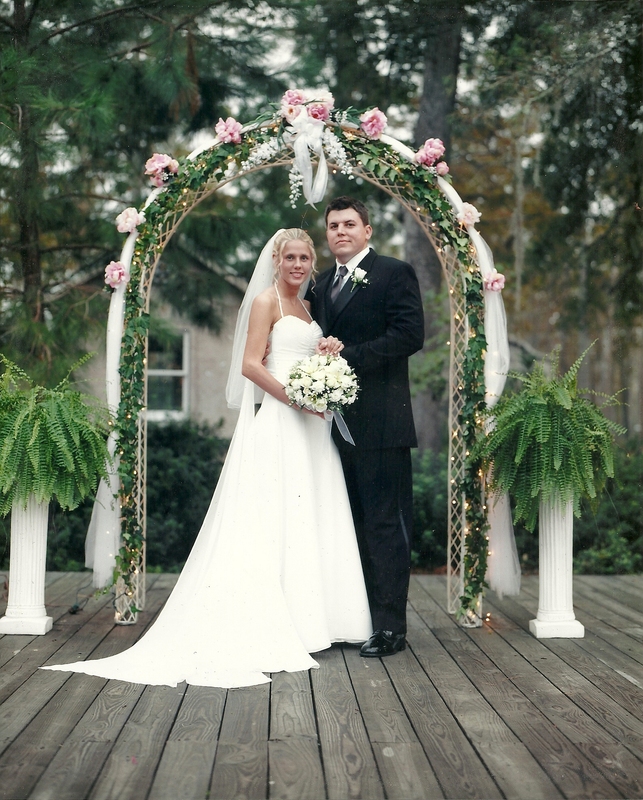 We reached another milestone and celebrated our 7 year wedding anniversary! Again, unbelievable! And unbelievable we used to look like this. Only if I could have that body back right about now! And that tan! 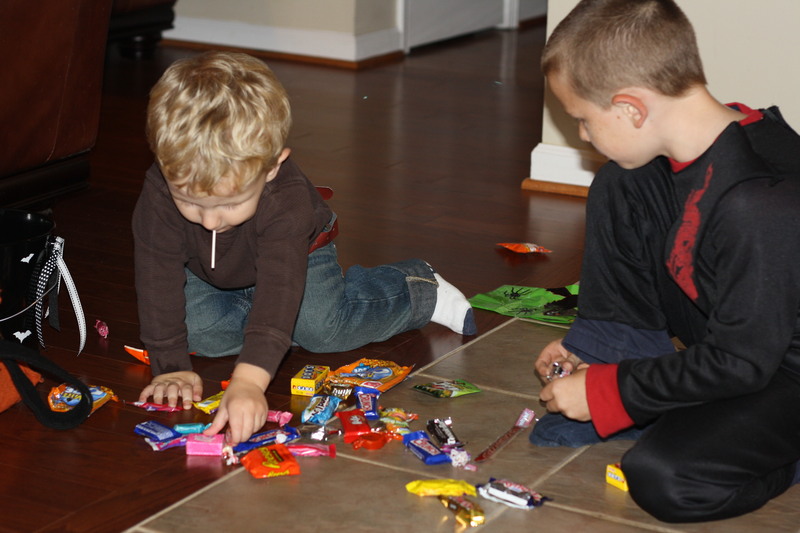 And last night we went trick or treating. 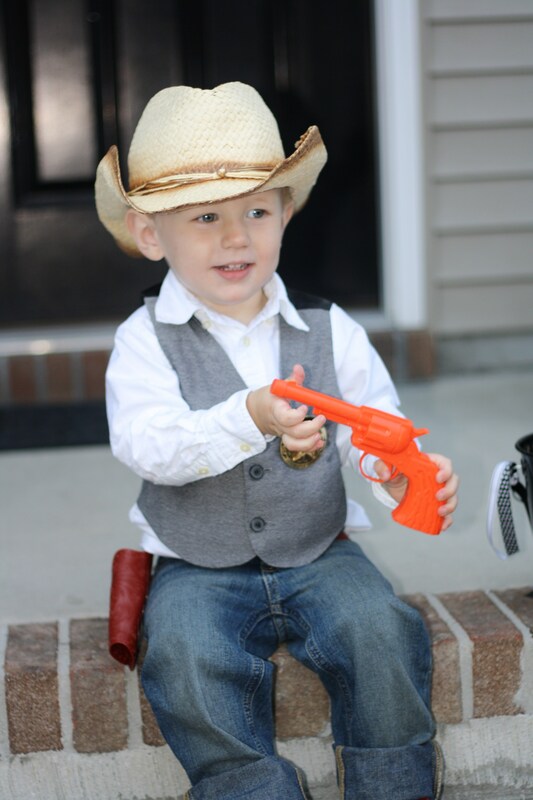 Evan dressed up as Chuck Norris / Wyatt Earp. 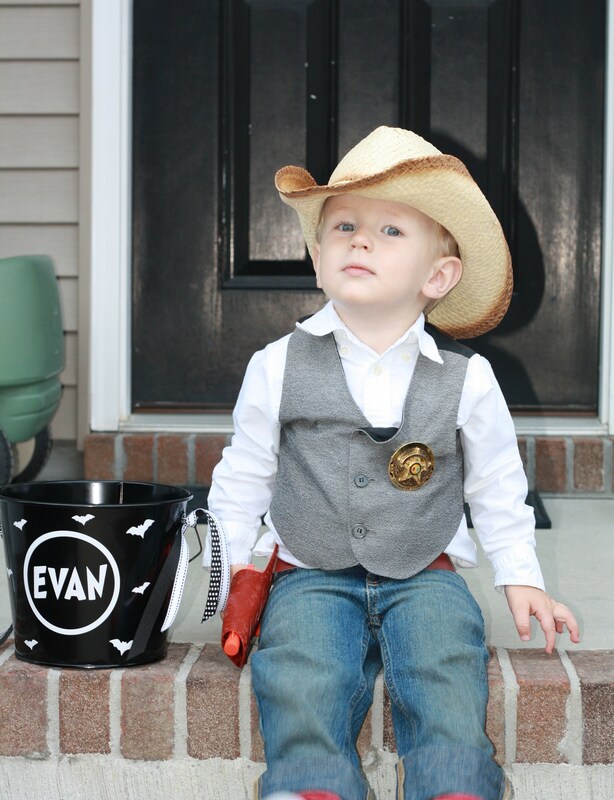 Halloween was a blast for Evan this year! He did really well walking to all the houses and tried his best to keep up with his Uncle Seth. Please continue to keep Lovebug in your prayers. He is possibly facing another surgery on his hand. We are currently waiting to see another hand surgeon for a second opinion. 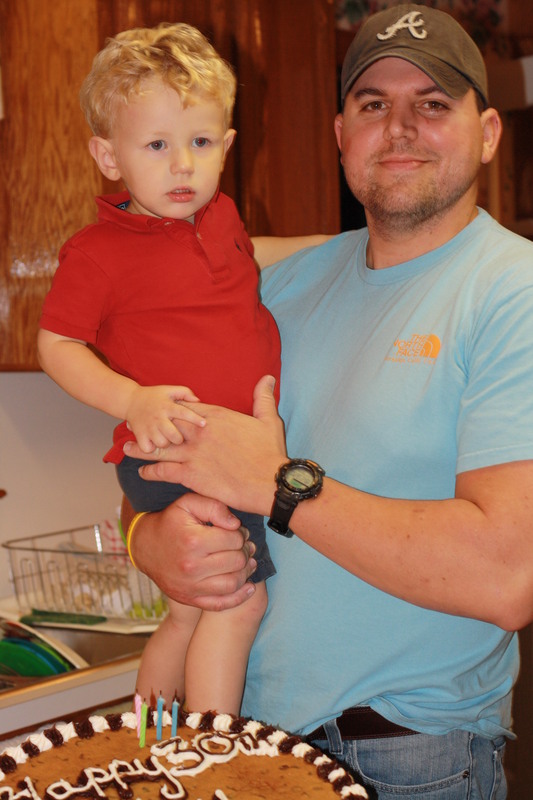 His bones are not healing together and the doctor is considering performing a second surgery to remove bone marrow from his wrist and then use that marrow to fuse his broken bones back together. This whole experience has really made me realize how fast life can easily change, and that everything happens for a reason. God is always in control, whether we think so or not sometimes. OMG your alot bigger than the last time I saw you (just your belly of course)! You look so cute pregnant! Tell Evan hello for me! Love you and I’ll talk to you later!